Tested this morning after having the week from hell, have spent the week either feeling or being sick. Did a Clear Blue Digital Test as lots of you seem to use them. And a BFP!! 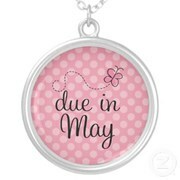 Am very excited but nervous too after miscarriage in February. Just got home, after fainting in Asda. Hope you are all feeling better than me if you are pregnant. Sending lots of baby dust and PMA to the rest of you. congratulations!!!!! what a great day for bfp's!!!!!!!! oh my gosh!!!! Big congratulations, sending u sticky babydust. Hoping u are feeling better. Was wondering if you had tested as I checked on the May BFP club and saw your name up there to test today. Congratulations!!! congratulations!!! gosh there is going to be a baby boom in january!! !